Minnesota mystery: Where are the prairie butterflies? Erik Runquist saw it for a moment, then it was gone. Walking a tract of Nature Conservancy-owned prairie outside Moorhead, Runquist caught a glimpse of a Dakota skipper, a thumbnail-sized, orange and brown butterfly. It perched atop a coneflower before disappearing into the prairie grass. "Skippers are evasive. You may get only a few seconds to be able to find it before it zips off the coneflower, especially if it's a windy day," said Runquist, the Minnesota Zoo's butterfly conservation biologist. "Once they get in flight, it's almost impossible to find them again." Fifteen years ago or so, it wasn't so hard to spot a Dakota skipper in Minnesota. But something's changed. Butterflies that once numbered in the millions have virtually disappeared from Upper Midwest prairies. Another once-abundant butterfly, the Poweshiek skipperling, has also vanished in that time. There hasn't been a sighting here since 2008. It's on the federal endangered species list. Runquist and other scientists aren't sure what's happening, but they worry the butterflies' disappearance is an ecological warning shot, a sign of a larger environmental problem on the prairie. "Butterflies are tremendously sensitive to small changes in environmental conditions," he said. "They've alerted our attention that, yeah, there are probably some pretty significant problems on our prairies that we weren't necessarily tuned to." Prairie butterfly populations naturally declined as Minnesota prairies were turned to farmland over the past century, but their dramatic decline in the past 20 years has scientists puzzled. 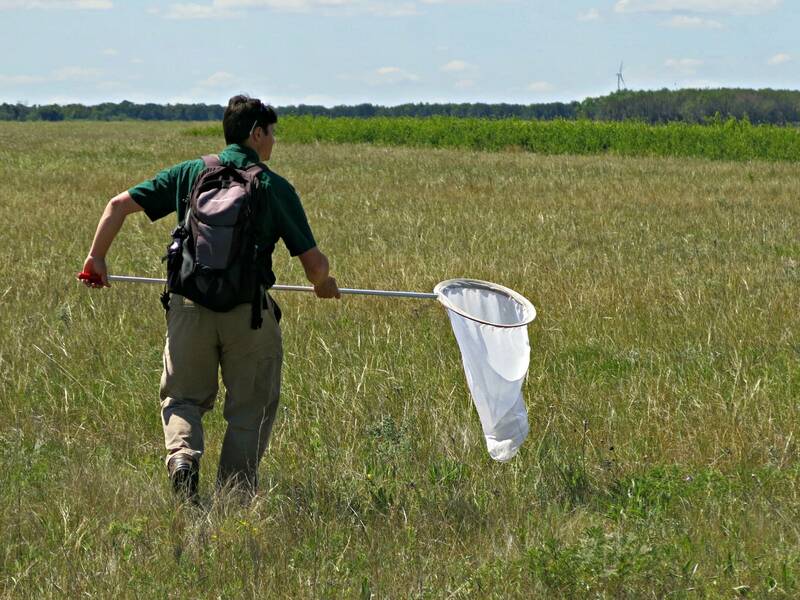 "We don't have a cadaver to do post-mortem on," said Robert Dana, a Minnesota Department of Natural Resources entomologist who searches for Poweshiek skipperlings and Dakota skippers at sites across the state every year. Prairie butterflies began to disappear rapidly in the early 2000s, despite efforts to preserve and restore prairies, he said. "It's very disconcerting to discover that after saving so many prairies, we are not yet on secure ground with the insects." It doesn't help that Poweshiek skipperlings and Dakota skippers spend their lives in an area the size of a Walmart parking lot — bad weather at the wrong time in a the butterfly life cycle can wreak havoc on local populations. Dana, though, says there's a long list of potential reasons the butterflies are in trouble. Fragmented prairie habitat, invasive predators like the multicolored Asian lady beetle, climate change, and pesticides are a few of the possibilities. Scientists are monitoring several prairie locations for pesticide contamination. They are also trying to get a better idea what prairie habitat gives the butterflies the best chance of survival. Runquist has a federal permit to capture female butterflies. He keeps them in paper cups lined with grass for a couple of days while they lay eggs. He then returns them to the prairie. Harvesting the eggs is part of an ambitious plan to save these once abundant species. "No other organization or agency in the world is rearing and breeding Dakota skippers or Poweshiek skipperlings," said Runquist. 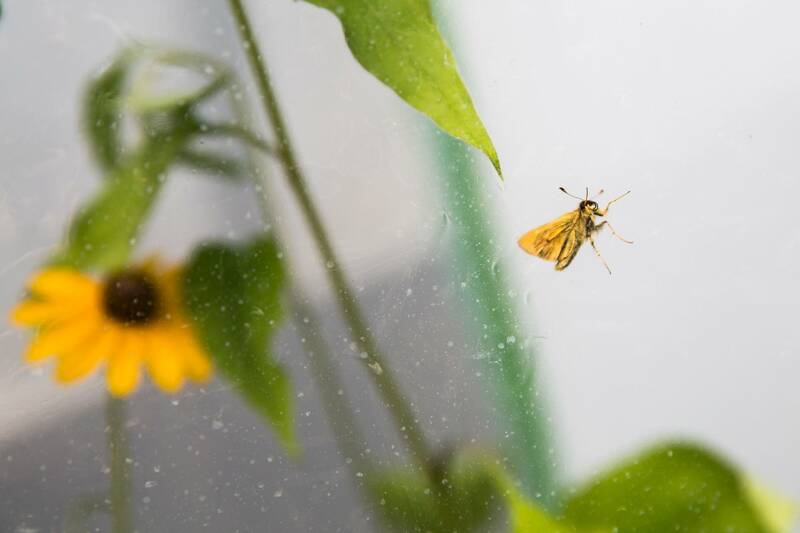 The Minnesota Zoo now has about 300 Dakota skippers bred in captivity. Runquist hopes that number will double by next year. The plan is to release some butterflies into the wild next summer to boost breeding populations. The zoo plans to do the same with the endangered Poweshiek skipperling, although there's no guarantee of success. In the wild, only about 3 percent of butterfly eggs survive to adulthood. The zoo has raised the survival rate to nearly 30 percent. But if something on the prairie is killing the butterflies, the captive bred butterflies might not survive. The U.S. Fish and Wildlife Service last year designated about 19,900 acres of critical habitat in Minnesota, North Dakota and South Dakota for the threatened Dakota skipper, and about 25,900 acres in Iowa, Michigan, Minnesota, North Dakota, South Dakota and Wisconsin for the endangered Poweshiek skipperling. The prairie problems, however, might be bigger than two butterflies. The DNR is now monitoring 13 prairie insect species, and it appears nearly all are in decline, as are many bird species that feed on them, Dana said. 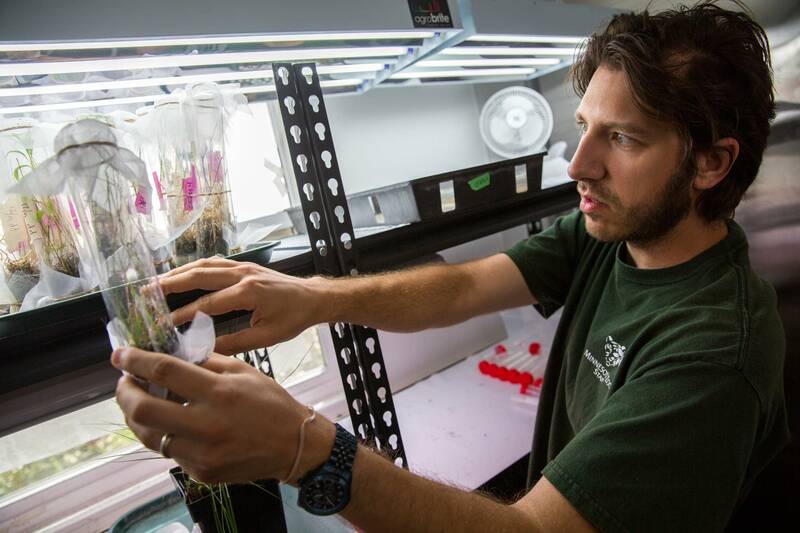 "If we are indeed depopulating these prairies of their insect fauna, that's going to have consequences for the grassland birds that use these habitats," he said. "It is a big deal."